Latest in Beauty — Beauty and Etc. Listed below are some the new beauty products in my collection that I'm currently trying out! The key benefits of the Becca Hydra-Mist Set & Refresh powder is to set makeup, refresh/cool, translucent powder and provide no photo-flashback. Application: My initial reaction after applying the the Hydra-Mist powder was WOW! I'm sure I'm not the only who felt like this! The powder felt damp as if water was being applied to the skin. This is likely due to the powder being formulated with 50 percent water and glycerin. As someone with a deeper skin tone, I'm usually concerned with powders giving off a white cast. But I can honestly say this does not! I've used the powder to set my entire face, including my under eyes. I like that the powder is ultra-fine and blurs the skin. I've used the powder to set freshly applied make-up and retouched with it for make-up that has been on for hours. I can honestly say the powder performed the same way! I really do like the powder and will continue to use it. Packaging: The lid is mirrored background with the Becca logo written in silver and looks very luxe on my vanity. Besides the regular bulky type of packaging that most loose powders come in, I especially liked that there's actually a separate lid to prevent excess powder from spilling out of the container. The packaging is not the most ideal for travel. But I can see that Becca did put some time effort with the package as it has a separate lid to prevent the powdering from spilling around during travel. Overall, I think that the Hydra-Mist Powder is great for the summer, feels refreshing and has helped to prolong my makeup! The Milk Kush Mascara is described as a high volume mascara that contains cannabis oil, thickening fibers, pure pigment fibers and an intense black finish. Based on these claims I was really interested in trying it out. A few months back Sephora was offering a deluxe sample size of the Kush Mascara with purchases over $25.00. I'm pretty critical of mascaras, especially mascara's that are on the higher end of the price spectrum. I have a Top 3 List of Mascaras (review coming soon) and I really don't steer away from them. I used the Milk Kush Mascara for about 2 months. I really like that the formula is not too wet or too dry. I I find this helps to get a more precise application. I do think the mascara lengthened my lashes and provided decent volume. However, I don't think it's the darkest mascara I ever used. Overall, I like the mascara. But I can't see myself purchasing this mascara as I have three other favorite mascaras on hand that have not been opened. I don't think the Kush Mascara is better than the mascaras in my arsenal. But I do think it lives up to most of its claims. Ingredients: Water, Paraffin, Glyceryl Stearate, Synthetic Beeswax, Stearic Acid, Acacia Senegal Gum, Butylene Glycol, Palmitic Acid, Polybutene, Oryza Sativa (Rice) Bran Wax, VP/Eicosene Copolymer, Ozokerite, Aminomethyl Propanol, Hydrogenated Vegetable Oil, Phenoxyethanol, Stearyl Stearate, Hydroxyethylcellulose, Nylon-6, Papaver Somniferum Seed Oil, Cannabis Sativa Seed Oil*, Glycerin, Helianthus Annuus (Sunflower) Seed Oil, Dipteryx Odorata Seed Extract, Theobroma Grandiflorum Seed Butter, Cera Carnauba/Copernica Cerifera (Carnuaba) Wax, Silica, Tropolone, Aframomum Melegueta Seed Extract, Helichrysum Italicum Extract, Iron Oxide (Ci 77499). I absolutely love the Becca highlighters. I find the Becca formula very buttery and soft. 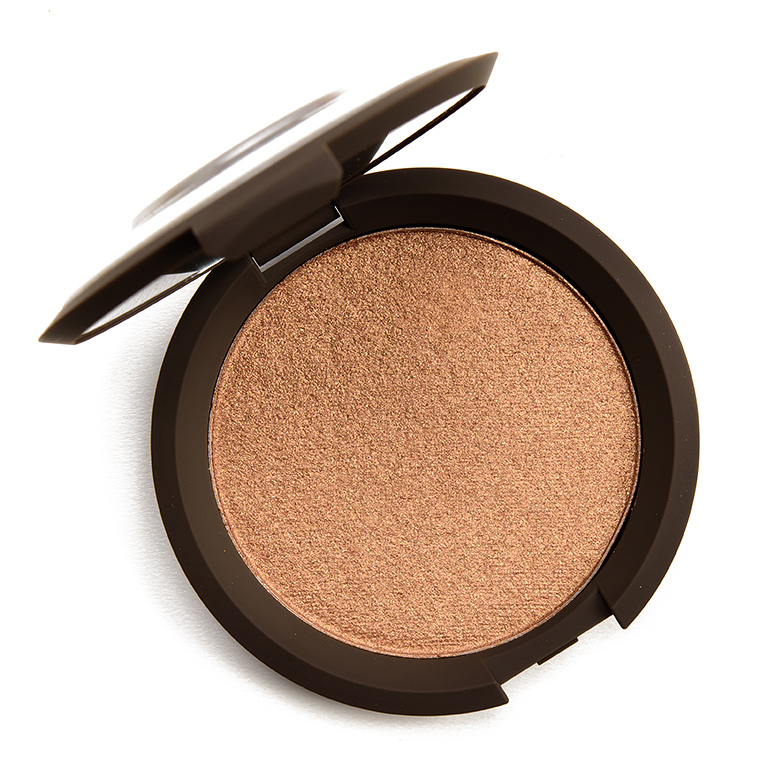 They melt into the skin so well to create a seamlessly blended and also blinding highlight. One of my close friends introduced me to the Chocolate Geode color back in May. Since then the Chocolate Geode shade has been my go to shade. I'm actually wearing this highlighter in the photos featured in the About Me and Contact Me section of my blog! I love applying the highlighter with the Anastasia Beverly Hills A23 Brush or the Morphe 501 Brush. Ingredients: TALC, CAPRYLIC/CAPRIC TRIGLYCERIDE, ISOSTEARYL ALCOHOL, PETROLATUM, SILICA, BORON NITRIDE, NYLON-12, HDI/TRIMETHYLOL HEXYLLACTONE CROSSPOLYMER, DIMETHICONE, PARAFFIN, MICROCRYSTALLINE WAX, TIN OXIDE, POLYETHYLENE, MAGNESIUM STEARATE, SORBITAN SESQUIOLEATE, CALCIUM SODIUM BOROSILICATE, SYNTHETIC FLUORPHLOGOPITE, TRIETHOXYCAPRYLYLSILANE, CALCIUM ALUMINUM BOROSILICATE, POLYETHYLENE TEREPHTHALATE, ACRYLATES COPOLYMER, TETRASODIUM EDTA, CHLORPHENESIN, POTASSIUM SORBATE. MAY CONTAIN (+/-): TITANIUM DIOXIDE (CI 77891), IRON OXIDES (CI 77491), MICA, YELLOW 5 LAKE (CI 19140), RED 6 (CI 15850), IRON OXIDES (CI 77499), RED 7 LAKE (CI 15850), CHROMIUM HYDROXIDE GREEN (CI 77289), CHROMIUM OXIDE GREENS (CI 77288), RED 40 LAKE (CI 16035), MANGANESE VIOLET (CI 77742), BLUE 1 LAKE (CI 42090), IRON OXIDES (CI 77492), ULTRAMARINES (CI 77007), FERRIC FERROCYANIDE (CI 77510), CARMINE (CI 75470), BISMUTH OXYCHLORIDE (CI 77163), RED 28 LAKE (CI 45410), BRONZE POWDER (CI 77400), ALUMINUM POWDER (CI 77000). Directions: Unfold the mask and remove the protective backing from one side of the mask. -Apply the mask to clean, dry skin then remove the second protective backing. -Reposition the mask if needed. -Leave on for 15 minutes then gently remove the mask. The nose sheet mask is made of a jelly like consistency. I had a hard time with getting the mask to stay in place on my nose. After using the mask and going on the Sephora website, it indicates to make the mask more effective, use the Charcoal nose strip (sold separately). I wish I would've seen that before applying the mask as it may have altered my review of the mask. I applied the mask as stated on the directions and followed up with toner when the mask was removed. The mask did not remove any blackheads or whiteheads. I don't feel like my nose pores appeared smaller or that the area appeared to be smoother after removing the mask. Being that I didn't see much of a difference with the mask, I will NOT be repurchasing the mask in the future. I have tried the charcoal mask in the past and I definitely recommend that nose mask!! Ingredients: -Pineapple Extract: Known for its skin-perfecting properties. Water, Hydroxyethyl Urea, Glycereth-26, Glycerin, Alcohol Denat., 1,2-Hexanediol, Coceth-7, PPG-1-PEG-9 Lauryl Glycol Ether, Phenoxyethanol, Epilobium Fleischeri Extract, PEG-40 Hydrogenated Castor Oil, Ananas Sativus (Pineapple) Fruit Extract, Betaine, Fragrance, Hydroxyethyl Acrylate/Sodium Acryloyldimethyl Taurate Copolymer, Arginine, Carbomer, Ethylhexylglycerin, Disodium EDTA, Citric Acid, Potassium Sorbate, Polysorbate 60, Sorbitan Isostearate, Sodium Benzoate, Tocopherol. Is there anything new in your collection that you're loving or even dislike? Please comment below!